Its Easter and you guys are hoping for a super unlimited free internet trick to use this period which is why i'm making this post anyway. Todays post title says "MTN South Africa Boring Free Internet Trick". Yes this trick its a real boring way to browse for free but at the same time its better than nothing. First you have to know that there is... i mean there are some free unlimited internet trick configurations which are all working right about now but cant post them because they all use direct open configuration. The moment i post them they would all be blocked because they aren't encrypted. By the way, its all for the good of everyone because and please don't ask for the configurations. You can click here to join TechFoe telegram channel to be among the first to receive the next unlimited trick as we did with the CellC and Telkom. 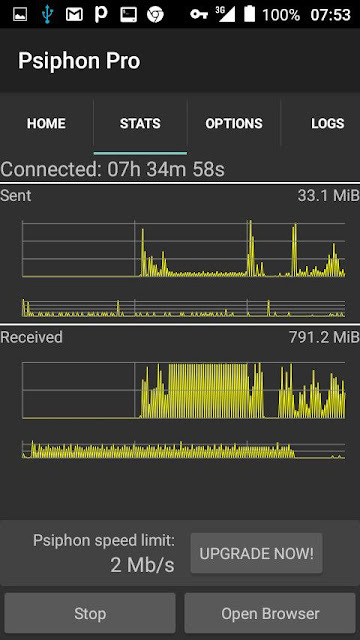 I call this trick boring because its form of browsing is (very) slow and not like the regular unlimited super fast free internet trick that you guys are used to. This trick is just suitable for chatting alone. Kindly scroll below for more details. Updated: I changed the screenshot to the one below for those who are saying that the trick is capped. The Psiphon/ Yoga VPN is unlimited. You can benefit from this free internet trick in several ways of which i will be mentioning just two alone. This is not the 1app MTN settings stuff. This part of the trick works for free because of the open port on the network and so the Psiphon Pro VPN and Yoga VPN simply unblocks the internet for you to access for free. The speed for this trick is slow because of the the protocol that is been used in accessing the free internet, To squeeze out more KBs/MBs, you can apply the use of Circumvention sites like Kproxy, 4everproxy etc or you can just use Yoga VPN to get the best speed that your device can fetch. Note: The Psiphon Pro VPN works on any MTN sim card but its slow while the Yoga VPN works only on selected sims only but offers a very fast internet. You can also download terminal emulator for Android, open and then minimize it to run in the background so as to get a better speed. This one is plain and different from the first method. This app makes use of the DNS Protocol to give you free access to the internet (another boring method to browse). Click here to download the Slow DNS app, install, open and then configure it by selecting any of the servers and a custom DNS ip address or you can just click here to configure it same way as i did in the other post. You can click here to visit Tunnelguru for more DNS ip addresses. tnx. Hopefully i will be done soon. It shows connected by me but no data. 100mb? are we still talking about this same tick? I have used close to 2GB, i dont why yours is different. 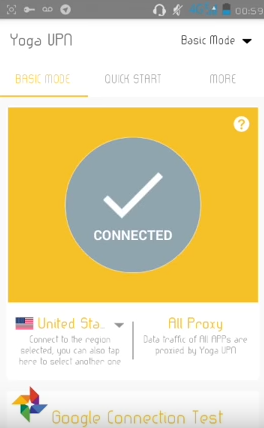 Yoga VPN says connected but not browsing, please help. What speed do u get? Thnx pappi...plz we want xp psiphon fast internet South Africa soon..
Hex, Vodacom SA offers free Facebook too. Can you please make a config for that. Does this trick still work ?